I took it upon myself to continue to share Joomla knowledge in Africa ESPECIALLY in Nigeria🇳🇬 My Country. 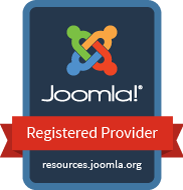 I founded JoomSchool International so that my brothers and sisters in Nigeria🇳🇬 can have access to the Joomla knowledge and skills at a minimal cost. I am not only a 'Joomler', AK SHEHU is an ICT consultant. I will be taking the Joomla 💝 to the CMS Africa Summit, Cape Town .